Makes customer management simple. Apptivo Customers App stores and manages all your customers in one central place. With effective customer database, have hands on even the minute details of your customers. The customer’s information can be used to make outbound sales calls, send sales emails, and provide direct marketing material. 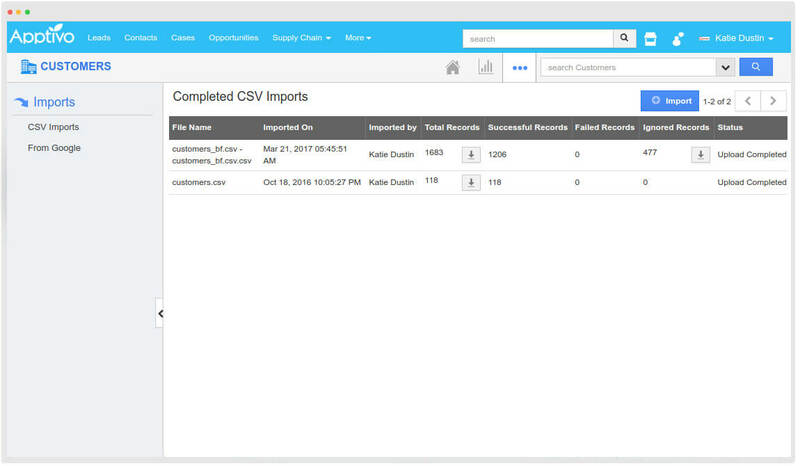 Create new customers by various ways - entering customer data manually in the creation page, capture customers automatically from emails you receive, import customer from a CSV spreadsheet, or enter customers via API. Importing your customers is the fastest way to add or update their information in bulk. 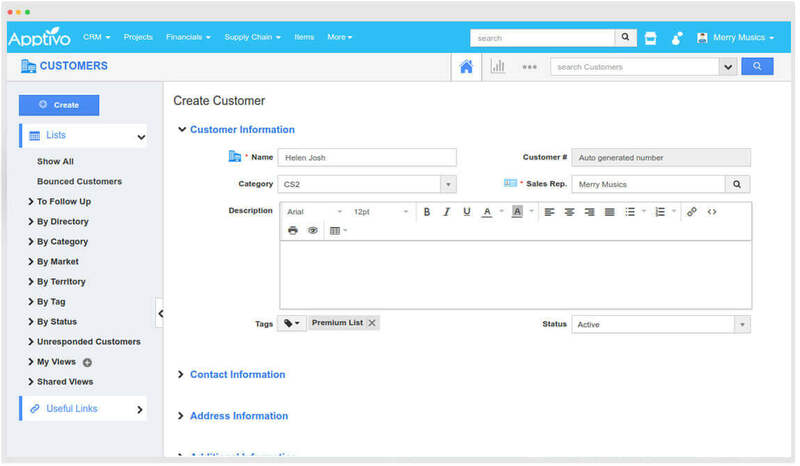 Easily upload a mass spreadsheet of customer data at once directly into the Customers App. Let your sales team work with minimal effort in creating and managing customers. Get notified whenever a significant event occurs. 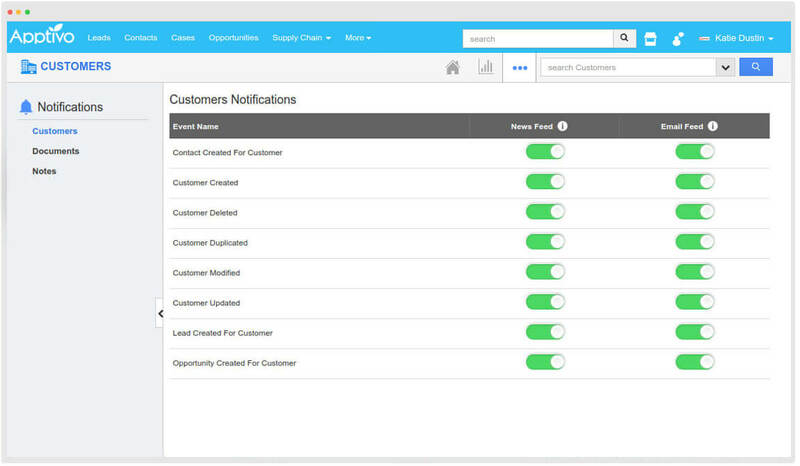 Email notifications help you keep notified in terms of customer creation, and all kinds of updates done to a customer record. Never miss out on a newly created customer! 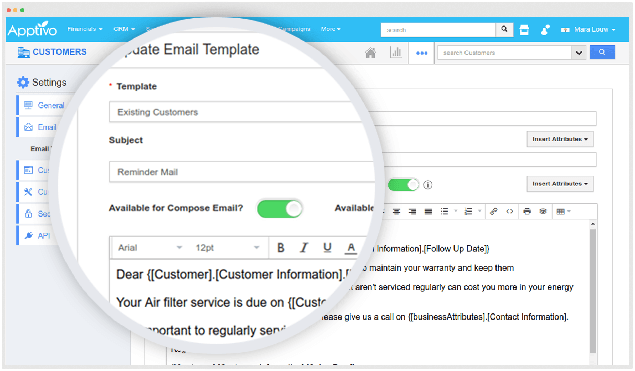 Send out emails with predefined formats, reducing the designing multiple times. 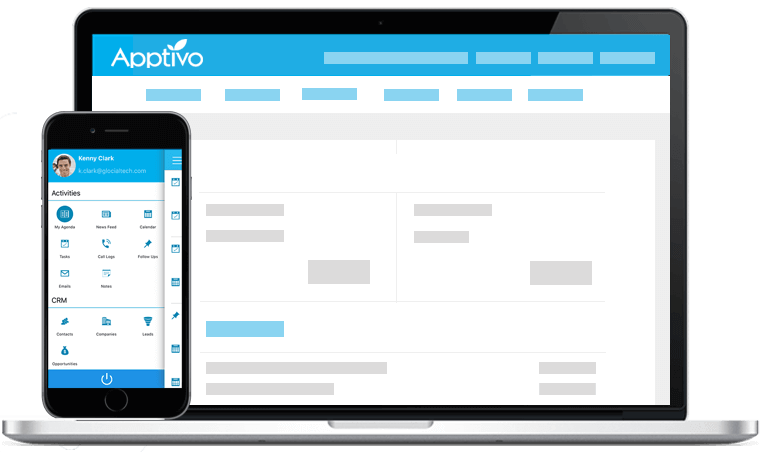 With Apptivo’s customizable email templates, build stronger customer relationships in every interaction. Saves time when sending out emails on a regular basis. 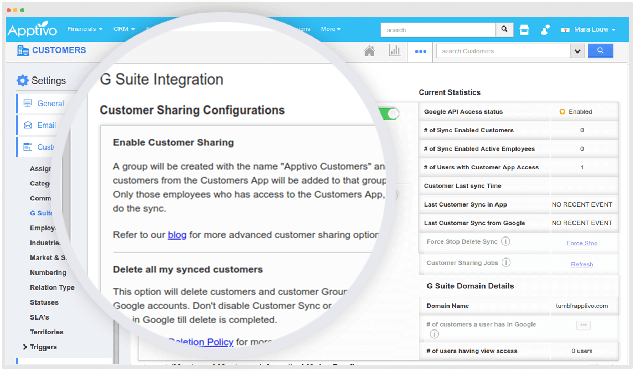 Install Apptivo App from G Suite marketplace, and stay updated by syncing customers between Apptivo and G Suite. Solve your diverse business needs and stay on top of all your customer updates from one. Collect all the customer data you need, no matter what. With Apptivo Customers App, you can create as many custom sections and fields as you want. 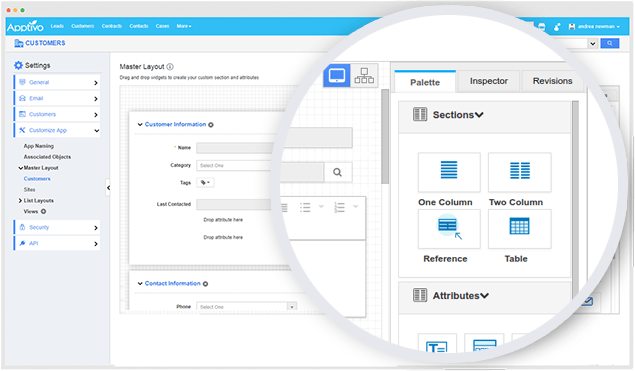 Share customer data inside various apps, select the fields you would want to view in layouts, and much more effective customizations. 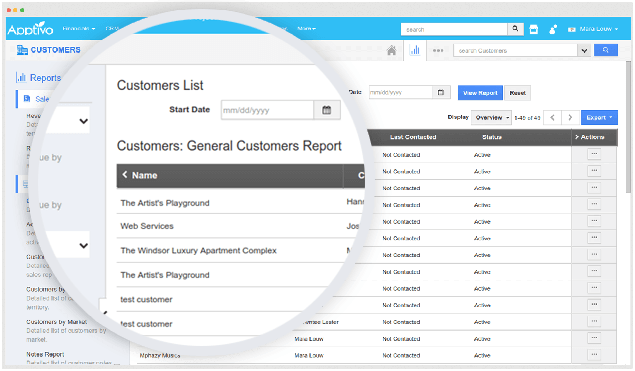 Generate reports and keep track of customer data. Get to know the active customers, their goals and make quick decisions to increase productivity.